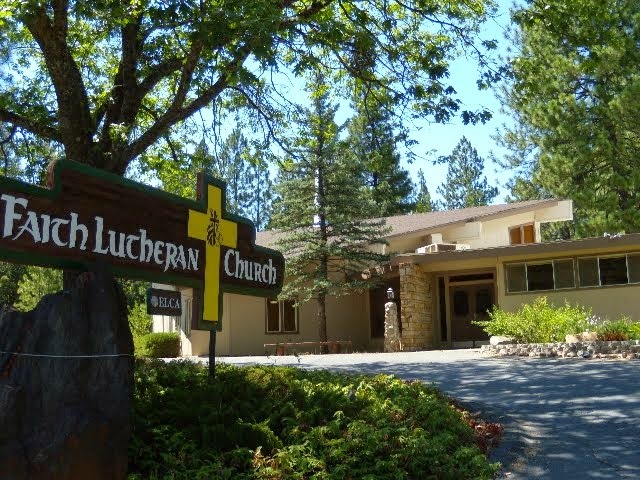 Sophia’s Well of Women in Sutter Creek presents its Summer Workshop, Oneness: Our Cosmic Connection on Saturday and Sunday, August 16-17 from 10am to 4pm. Marilyn Nutter is the featured presenter on Saturday. Activities for the day include a morning presentation deliberating questions such as: What does it mean to think and live in alignment with the cosmos? How do we integrate our current scientific understandings of the universal story with our faith and our self in relationship to our ever-expanding universe? How do we keep from getting lost in the rapidly changing universal consciousness? In the afternoon, Marilyn will host a showing of the Emmy award winning documentary film featuring cosmologist Brian Swimme in Journey of the Universe: An Epic Story of Cosmic, Earth, and Human Transformation. This leads participants into the final activity of the day, a communal cosmic art project. The day’s activities focus on telling our new cosmic story. Sunday's workshop begins with contemplation on The Cosmic Christ. Who and what is the "Cosmic Christ"? Rev. Patsy Walker Fine hosts the morning activities with meditation and a showing of the filmed talk, Christ Cosmology & Consciousness, by Franciscan priest Richard Rohr. Then Marilyn and Patsy guide an inquiry into the meaning and significance of Christ from an interfaith, universal perspective. Christine Manz with the Sacramento Dances of Universal Peace leads the Sunday afternoon session. Christine will share about the origination of the Dances of Universal Peace and lead the participants in several dances. The activities include poetry and inspirational readings. This is the crowning point to a workshop of cosmic dimensions. A light vegetarian lunch is served both days; bring your own lunch if you have food restrictions. Water and tea are provided. Dress casually for comfort and bring a pillow if you want to soften your chair. Participants may come for one or both days. Space is limited so pre-registration is required. 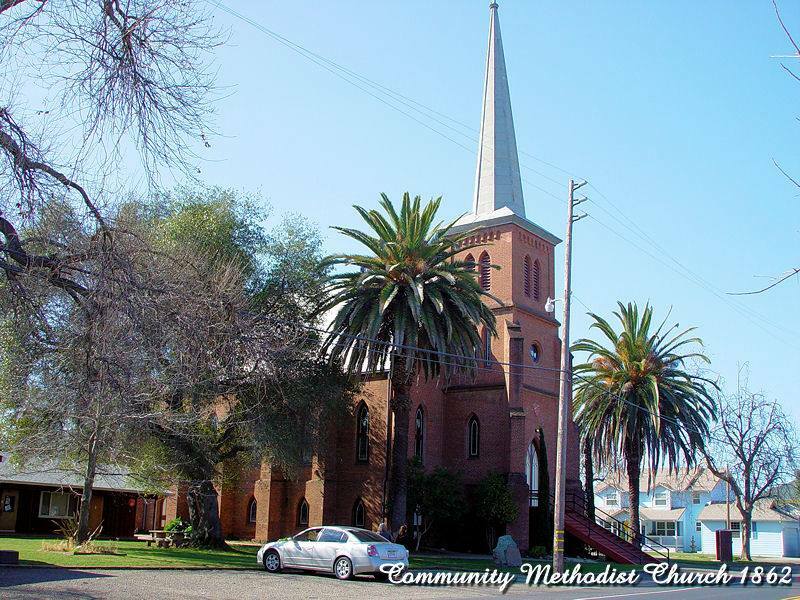 Call 209-418-9003 to pre-register. The workshop is by donation to Sophia's Well of Wisdom. The doors open and registration begins at 9:30am each day. SWOW is located at 270A Hanford Street (Old Highway 49) in Sutter Creek, California. Visitwww.sophiaswell.org for information. For those traveling or those wanting to make it a spiritual retreat, a great Days Inn is right across the street. Sutter Creek also has many fine Bed and Breakfast Inns nearby as well as fabulous restaurants. 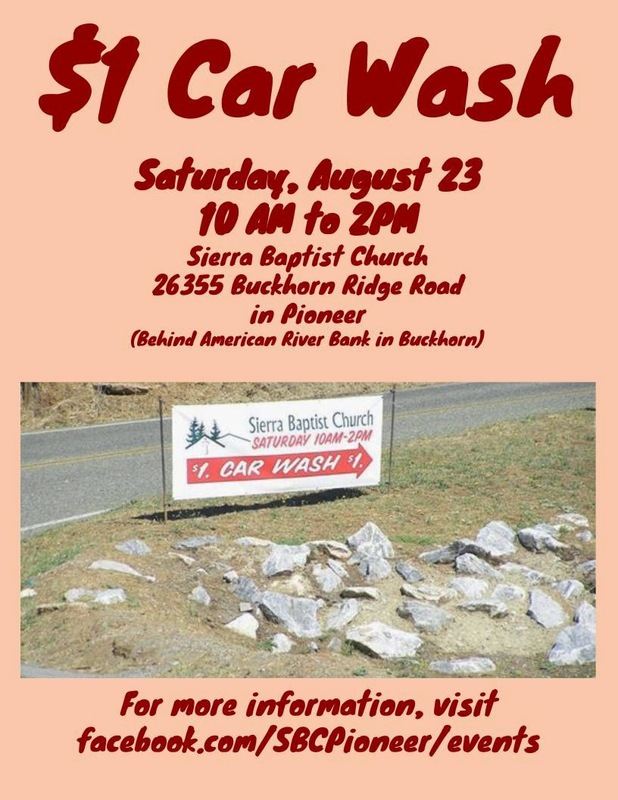 Go to www.suttercreek.org for more information. 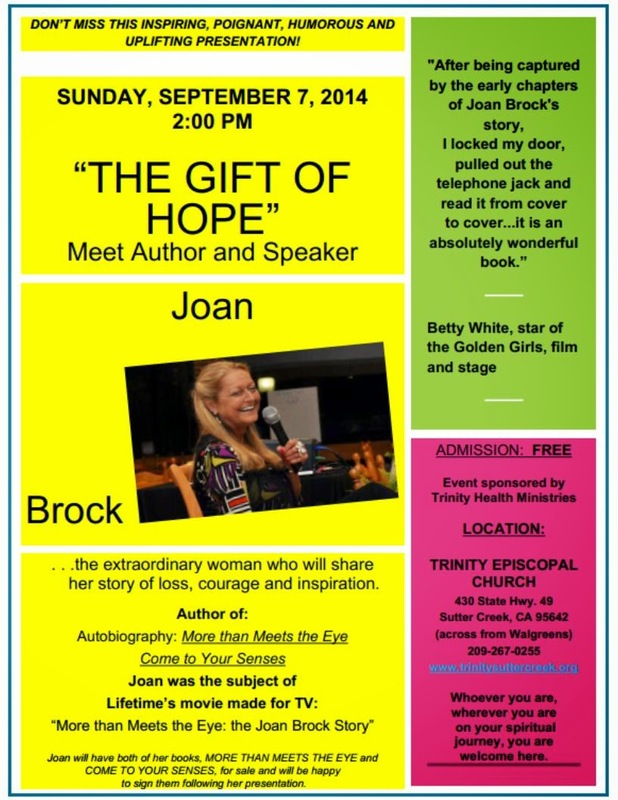 "More than Meet The Eye: The Joan Brock Story"